Can Research Groups communicate as a collective rather than as individuals? I'm speaking to more and more research groups about how they can get online and share their work via social media. I used some of the thoughts and diagrams from 'An introduction to social media for Scientists' published in PLOS Biology 2013 to illustrate some of the thoughts, barriers and journeys to engaging online in a short talk I gave.. I'm looking to speak to more people and read more case studies about how collective research groups have shared their science openly online - rather than the science being communicated by single individuals - which I see to be more commonplace. Research rarely exists in isolation so I see more groups moving to this collated model. 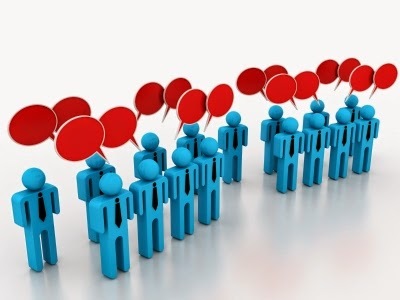 Communicating as a group is, in theory, easier than as a single entity as there is potentially more to discuss and potentially less onus on one individual to provide all the narrative. That said, it is more difficult for people to communicate as a group as you are representing more voices and within a research environment everyone needs to be happy about what is being said. Relationships within research groups aren't always easy and that can mean that communication can stall. Communicating as a group also takes more input from people to organise and co-ordinate so although individuals might not have to contribute as much content, their time might be dedicated to the outputs in other ways. For the receiver it may be difficult to engage with a group communication rather than an individual as it can lose the personal connection. Especially on twitter, group accounts can become static and exist only to announce outputs and information, rather than real engagement with an audience. The use of social media by scientists has been criticised by some, including a Nobel Laureate, as being 'self-promotion' and that, isn't 'science'. I was at that discussion and disagreed with it completely at the time but would communication by groups, rather than individuals avoid this? Or does it just prevent many of the benefits that can come from social media if used as an individual voice? I am really interested in discussing this further and some ways people have used to overcome the barriers to communicating as a group. Here's my prezi talk for those that are interested!